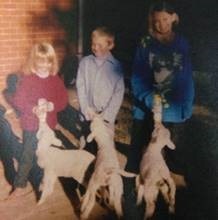 My agricultural journey began twenty two years ago when I born the daughter of a fourth generation sheep and cattle farmer in the beautiful Riverina of southern NSW. Needless to say, agriculture is in my blood. Our family farming enterprise is no stereotype though. Dad was tragically killed in an accident when I was a toddler, leaving Mum to raise four kids as well as manage her livestock. In addition to running livestock on our small block of land at Narrandera, we primarily agisted stock on surrounding properties. It was Mum’s determination and courage, as well as her ability to include us kids in the farming enterprise, that lead me to instinctively develop a passion for agriculture and in particular a love for sheep and cattle. 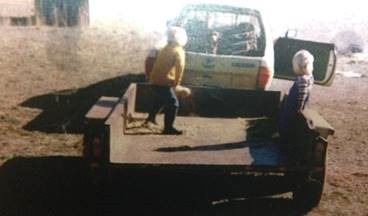 From the time I could walk I was in the yards helping Mum draft stock, in the woolshed penning up sheep and rouseabouting, and on the back of the ute helping supplement feed stock. I simply loved getting out and about to help Mum do the daily jobs of producing both food and fibre. Helping feed out hay with my brother on the left & feeding poddy lambs on the right. 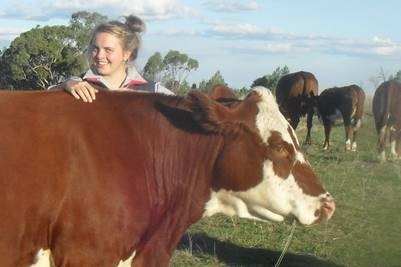 At the end of Year 12 in 2010, I followed my passion and applied to the University of New England (UNE) in Armidale to complete a Bachelor of Animal Science, majoring in Livestock Production. The following year I moved to Armidale (950km away from home) to begin study and have never looked back since. This was possibly the greatest life decision I have ever made! Throughout the four years of university, not only did I learn a great deal, ranging from livestock nutrition and genetics through to plant pathology (and everything in between), but I was also exposed to an array of amazing opportunities which strengthened my interest in the industry. During my first year of university I also completed a Certificate IV in Wool Classing at TAFE. Not only did this provide me with a recognised qualification, but it also allowed me to gain work in shearing sheds during holidays to help pay for university fees. At this same time I began taking part in sheep fleece judging and was fortunate enough to compete for the Armidale Show Society at local, regional and state level. Let me tell you, judging fleeces at the Sydney Royal Easter Show is certainly much more stressful than the home woolshed, but nonetheless very enjoyable and a great networking and learning experience. In 2012 I competed for UNE at the Intercollegiate Meat Judging (ICMJ) competition, which is an annual conference that exposes university students to all sectors of the red meat industry. While training for the competition I learnt how to assess market suitability, meat quality and yield in beef, pork and lamb species. Though getting up early to stand in meat chillers for training does not sound like a hobby nor great fun, I certainly learnt a lot and gained an appreciation for the most important part of the red meat industry: the consumer. 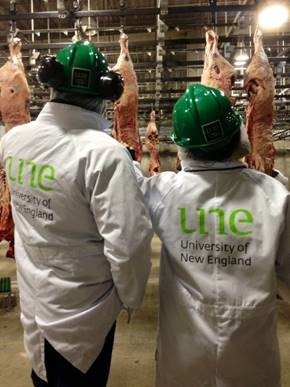 Me and a fellow UNE team mate judging a beef carcase class. I was fortunate to be selected as a member of the 2013 Australian ICMJ Team who toured the United States for four weeks. This was an incredible opportunity! 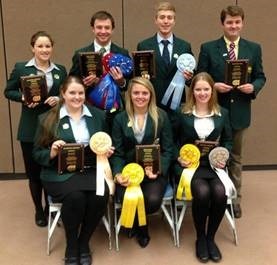 Our team competed in three major US meat judging contests, travelled across ten states and gained a unique insight into the US meat and livestock industry through a number of tours. Visits included the National Cattlemen’s Beef Association, the USDA Meat Animal Research Centre, three major US packers, as well as feedlot, ranch and retail visits. Essentially, the tour was a complete paddock to plate insight into the US, and allowed comparisons between Australia and the US to be made. 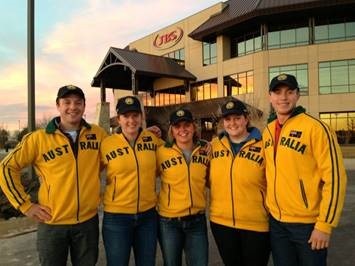 The 2013 Aussie ICMJ Team in the US; on the left we are outside the JBS Headquarters in Colorado, while on the right is the awards we gained following one of the competitions we competed in. I am forever grateful for what I have personally gained from my ICMJ experience and would love for as many people as possible to gain what I did. To help achieve this, I co-coached UNE ICMJ teams for two years following my participation and am now currently a committee member of the Australian ICMJ committee. My role on the committee is Careers Expo Coordinator, which is something I am very passionate about as the youth of today are inevitably our future. 2014 UNE ICMJ Team which I was lucky enough to be a part of the coaching team. Another wonderful opportunity was the 2014 Indonesian Beef Production Tour, a three week tour coordinated by the University of Adelaide. It was certainly was an eye opener, giving a fantastic insight into each sector of the supply chain in which Australian cattle are exposed to in Indonesia. A significant highlight of the trip was visiting one of TUM’s new abattoirs (TUM is the company that was exposed on Four Corners, which lead to the closure of live export to Indonesia in 2011). The new facility clearly demonstrated that animal welfare is of utmost importance. 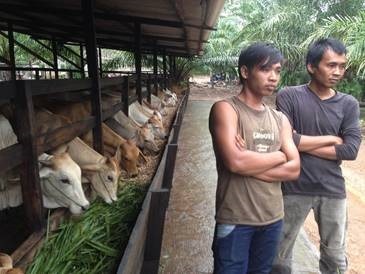 This had a great positive impact on me, as it is quite contradictory to how live export to Indonesia is portrayed by a number of groups in Australia. Ultimately, this experience gave me the confidence to be able to promote live export upon returning to Australia. 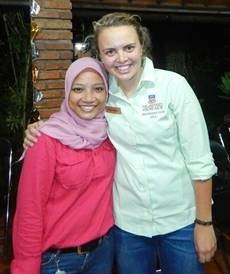 2014 Indonesian Beef Production Tour; left is a research feedlot we visited, while on the right I am pictured with Febrina, an Indonesian Animal Science university student. During my final year of university I undertook an Honours research trial in the field of sheep genetics. I tried to determine whether sires re-rank, in terms of their performance, in different environments. Honours certainly was not a ‘walk in the park’; I analysed tens of thousands of data recordings and spent hours in front of the computer. However, the process was rewarding and I gained a very strong appreciation for scientific research, and now understand the vital importance of research to our agricultural industry. I concluded the project with some significant results, which I found exciting and motivating… (and maybe one day I’ll be back to complete a PhD). Overall, I was awarded First Class Honours for my project. 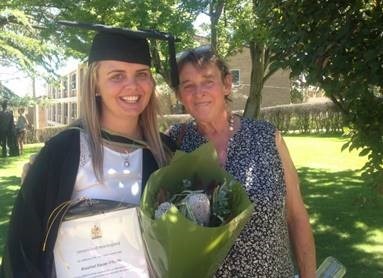 Pictured with Mum after graduating with a B. Animal Science (1st Class Honours). I was very fortunate for the support of a number of financial bursaries to help fund my degree including the UNE Country Scholarship and the NSW Royal Agricultural Society Foundation Scholarship. I also gained an Horizon Scholarship for the duration of my degree, which not only financially supported me but also aided in leadership, personal and professional development, supported attendance to industry conferences which broadened my agricultural knowledge, as well as organised annual industry work placements. This wonderful program enabled me to broaden my networks and certainly helped shape the person I am today. 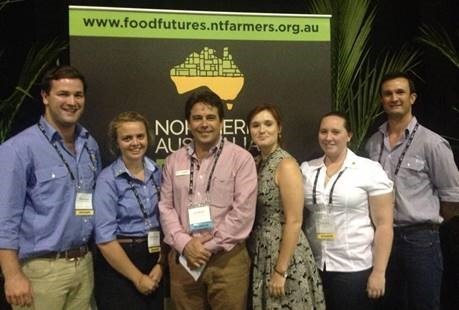 Attending the 2014 Northern Australia Food Futures conference in Darwin as a Horizon Scholar delegate. One particular Horizon work placement proved to be very influential in my career progression. In my second year of university I completed work placement at a 32,000 head beef feedlot. Prior to this I had never set foot on a beef feedlot, let alone considered a career in the lot feeding industry. This placement completely changed my perspective of intensive agriculture and I became intrigued with the industry. 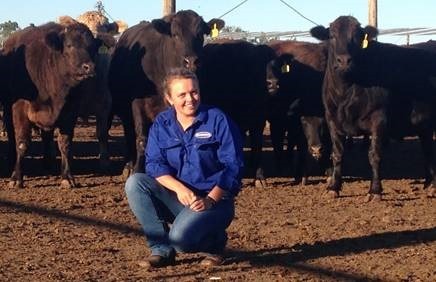 Since then, I have completed a Feedlot Management unit at university as well as work placement at two other feedlots, and was also fortunate to gain a Meat & Livestock Australia scholarship to attend the 2013 Australian Lot Feeders biannual BeefWorks conference. Most recently though, since finishing university last year, I have begun a Beef Supply Chain trainee position with Kerwee Lot Feeders. This position allows me to combine the knowledge which I have gained at university and through the ICMJ program to help produce tasty beef of the upmost quality. I find this an exciting concept and I am even more excited to see where this role takes me in the future. The world population is continuing to rise at a very fast rate and I believe that intensive farming, such as lot feeding, is going to play a significant role in feeding this ever increasing population. I want to actively help the lot feeding industry to continue moving forward by promoting the importance of high animal welfare and environmental standards, as well as help ensure that lot feeders are up to date with emerging best management practices. Eventually I hope to harness my passion for livestock nutrition and genetics to help maximise production in the most sustainable manner. Ultimately I wish to be part of the Young Farming Champions program so that I can tell my agricultural story, as well as market, promote and engage consumers with the great products that the Australian agricultural industry produces. I also want to help raise awareness of the diverse range of career opportunities available in agricultural and inspire the young people to consider them. Australian agriculture is an exciting place to be and has endless amazing opportunities available for people who have drive and passion. So find and follow your passion, seize opportunities and enjoy the ride; you never know where you might end up. You are a champion Rozzie. Well done. No surprises here though. We know the dedication and hard work that has accompanied your passion. All the best. We look forward to hearing more exciting news in years to come!